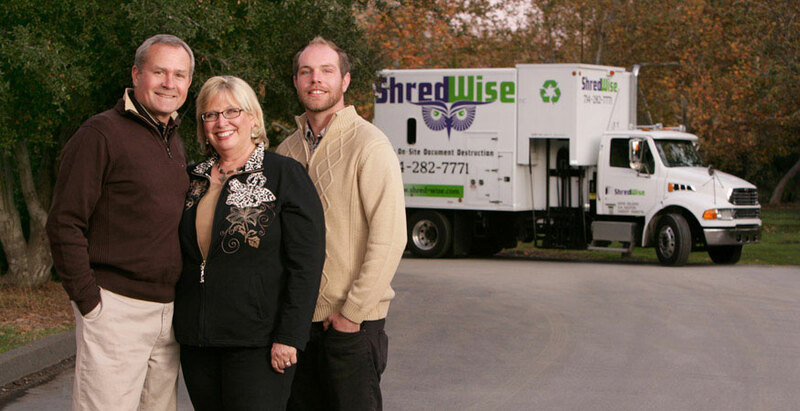 Shred Wise, Inc. is a family owned and operated company offering mobile paper shredding solutions. It opened in 2006 with a dream of helping companies and individuals stay safe from the identity theft and business information breaches that their owners had experienced a year earlier. Gary and Sherry Metcalfe, the founders of Shred Wise, became victims of identity theft, not once… or twice… but three times! As a result, Shred Wise was born. The first-hand experience of identity theft shapes the Shred Wise company culture and business model. Gary and Sherry understand the risks, prevention and actions needed to avoid identity theft. Their passion is to share that with you through education and hard work aimed at keeping you safe, your company safe and helping to make our community and Orange County a safer, better place to live. The Metcalfe’s have lived in Orange County for more than 40 years, running a small business and raising their family not far from the Shred Wise facility in Orange, CA. Their son Nick also works in the company making it a real family endeavor. It is our undying desire to give you the best possible service, security and safety at very competitive prices. Shred Wise and Sleep Well! This slogan just begs you to leave the worrying to us and rest easy. Shred Wise has your back when it comes to document destruction! Shred Wise – Your front line of defense against information breaches and identity theft.